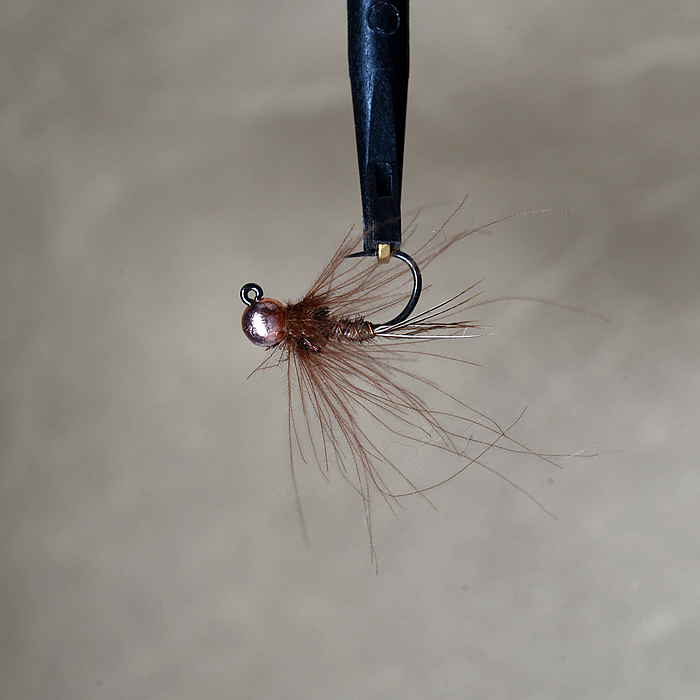 PH is a standard in fly-fishing, but I have added a CDC Hackle and put it on a jig hook with a heavy bead, so as it can get to the bottom of the stream quickly. Changes and variations: One size smaller and eliminate the CDC at this point. And since, the fly fishes hook up, I present it to you this way.